Our naval base is the Port of Capo S.Donato of Finale Ligure (SV). For our customers is available a free parking place (not secure) within the port area for the entire period spent with us. You can reach the port on foot (about 30 minutes), by taxi or by bus. 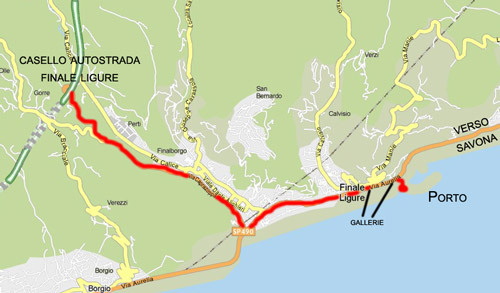 Highway A10 (Genova - Ventimiglia) exit in "Finale Ligure". Follow the road that leads down to the sea. Do not deviate until you meet the coast road. Turn left towards "Savona" (to the east). Cross the village without deviating. Leaving the village you will encounter two galleries. The Port is located just after the second tunnel at right. Joints before the bar of entry (the right one) stop at the side. We will come to the appointed time. There is no need to call.